Hola from Dresden, where I am taking part in the Q&A for the wonderful Expanded program, amongst amazing films and even more amazing filmmakers. April 6th – A Mythology of Pleasure in Berlin & Cleveland! As a director and producer, this has been the most challenging project I ever embarked on. As a feminist, it was one of the most gratifying experiences in collective creation and support from a wonderful team. Come see us in Landshut! This is a special occasion for me, and I’m looking forward to celebrating with everyone! Come see the fantastic film program running during the Night of the Museums in the Academy of Media Arts in Cologne. Super psyched to be selected amongst such great films! Behold a pic of the makers of In Search, winners of prizes! And the makers of A Mythology of Pleasure collaborating in having a great Q & A after the morning session at the Passage Kinos. Thanks a lot to the DOK Leipzig, it really was a blast. Our film will participate in the German Short competition in Leipzig, and I couldn’t be happier to invite you all to join Jule and I in celebrating. Super happy to announce that A Mythology of Pleasure will be taking part in the fabulous Directed by Women Festival, in Cineteca Madrid. Talking about dreamy festivals, our inclusion in the Official Selection in Palm Springs couldn’t have been more of a blast. Read my full report on the AG Kurzfilm site, soon. It really rocked. Come say hi, we will be taking part in the Q & A after the session on Friday, 14th of September. The Collaborettes, in our escapade to Madrid, where not only did we have a blast, but also, we got to see amazing films and meet amazing filmmakers from all over this tiny planet. Check out the Christmas pieces I had the pleasure to edit for WDR. Jule Cramer and yours truly had the incredible honor to share the stage with Sophie Maintigneux, during her presentation in the German Short Film Prize. She invited us to share our experiences working together, and it was such a pleasure. An interest in the latex industry? The Cut it short! panel included Phil Collins and Isabel Hergera, incredibly talented professors from the KHM. I am extremely proud to share with you that Oh Brother Octopus, the short documentary directed by Florian Kunert that I helped edit has won the German Short Film Prize! The film is thus directly classified as the German contender for the Oscars. The news were dully celebrated last night. Congrats, Florian!!! Jule Cramer and yours truly will be taking questions at the KHM event of the fall. Check out the trailer we made for the amazing festival in their Spanish section, a wonderful project that we’re super psyched to make a part of. Come see my latest installation in KHM Rundgang. The whole Rundgang looks amazing! The postproduction of Eva Sola is just an extension of how well this shoot went. Thanks again, everyone! This coming September, go check their festival in Madrid, Sevilla, Palma and Valladolid. Kinopatio, the place where ideas bubble up, is growing at huge, beautiful steps! Sometimes, when people ask me what I do, I say, “I help out”. This video is one of those times. This reminds me how much I like my job, because with such nice teams like these, it’s a pleasure to come and edit a bit. So much fun, and such a beautiful video. Directed by Women Spain – Convocatoria Abierta – Open Call! Abierta la convocatoria para presentar trabajos a DBWS. Súper contenta de colaborar con la III Edición. Eva Sola, it’s a wrap! Some pictures from the shoot, which I still daydream about, with much love and appreciation for the coolest team, and the best of times. As part of my next fiction project, Eva Sola, we had the pleasure to shoot some documentary scenes during New Year’s Eve. The editor in me couldn’t help but playing around with the editing for a bit. I’m finding much joy in making this film, but sometimes I just miss editing. Sharing some pics from what I found plunging into the rushes. Enjoy! La película de Jota Aronak, recomendada en La 2 de TVE. Súper orgullosa de formar parte! Ira, una película de Jota Aronak, Estreno en cines! Un equipo excepcional, una experiencia de entrega como pocas, y un orgullo haber formado parte de todo eso! New Retro Wave, you belong in 2016. 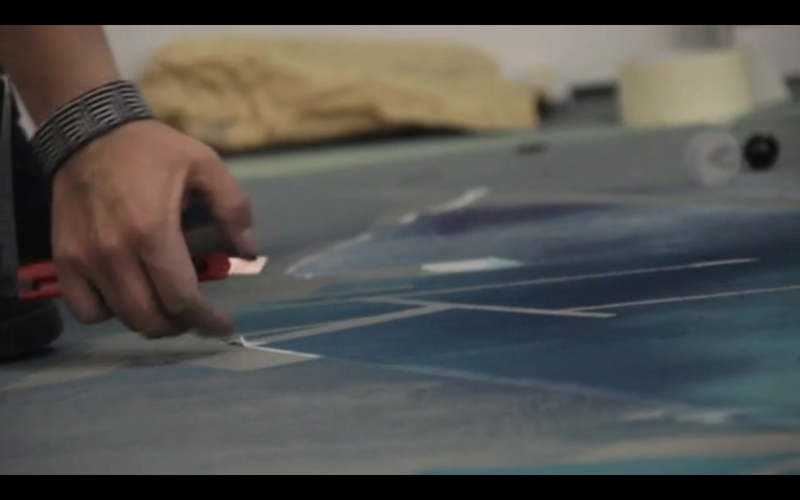 BS Atelier Documentary – Coming Soon! Stay tuned for my next film, a piece I had the pleasure to shoot with the sensational Jule Kramer and the BS Team, the finest artisans in Valencia, Spain. Currently editing the piece with my own teeth and hands and Arturo Peña, a colleague from the EICTV. We’re so close to finishing the latest feature by Miguel Müller-Frank that we had the pleasure to introduce it to the characters themselves, in the very same place the film was shot. Amongst many other reasons (food showing the director and the photographer around, and the delights Madrid has to offer food ), these last few days in Spain were all kinds of magical. All of our gratitude goes to the characters, who presented us with the opportunity of watching it with them. It was like watching a DVD extra where the director explains scenes and moments. Most of the assumptions I had made about some characters were, as it always is when you make judgements, mostly not right. What a great way to be reminded of how limited we humans are. A must for every documentary editor! (Untitled) Loke Lau by Yusuke Ito in LA Weekly! Yusuke’s piece was one of the video works I had the pleasure to participate in while in LA last winter. His thesis work was also one of my favorite shows at the Art Center College of Design. Now, it was picked as one of the five shows to watch by LA weekly. Really proud of Yusuke! LAXART – 7000 Santa Monica Blvd., Hollywood; through Jan. 7. (323) 871-4226, laxart.org. 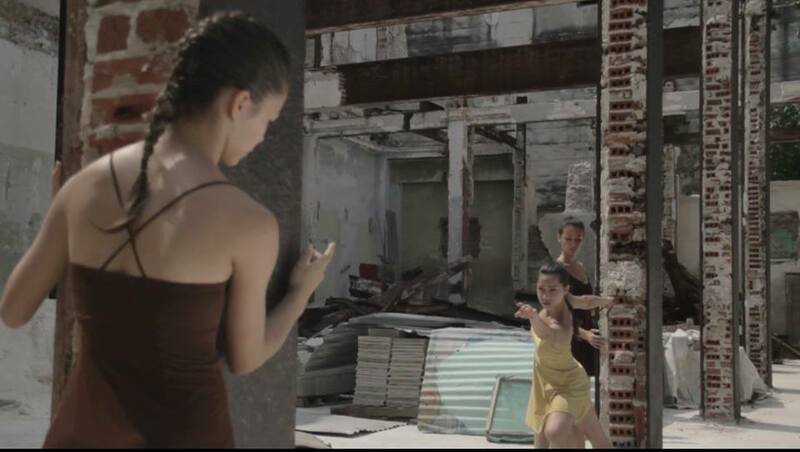 For everyone interested in seeing Luisa Betancur Ossa’s beautiful piece Demons in festivals around the world, it’s starting its round! Happy to see Reality still has it ways to fit meaning into things. Duisburg was as fulfilling as predicted. Thanks to everyone who came! Vreme is taking off in the festival round with Duisburg. Dragana and I are going to be there. She will most likely be the fabulous one, while I celebrate the good news. The documentary film by Florian Kunert, which I had the pleasure to help editing, is showing in a double feature with Tarda Estate, by Antonello Scarpelli. Congratulations to the talented filmmakers! Brain Drain (or Are Spanish People Taking over the World) featured in Toulouse, France, next weekend. Demons, featured in Boooooom TV! 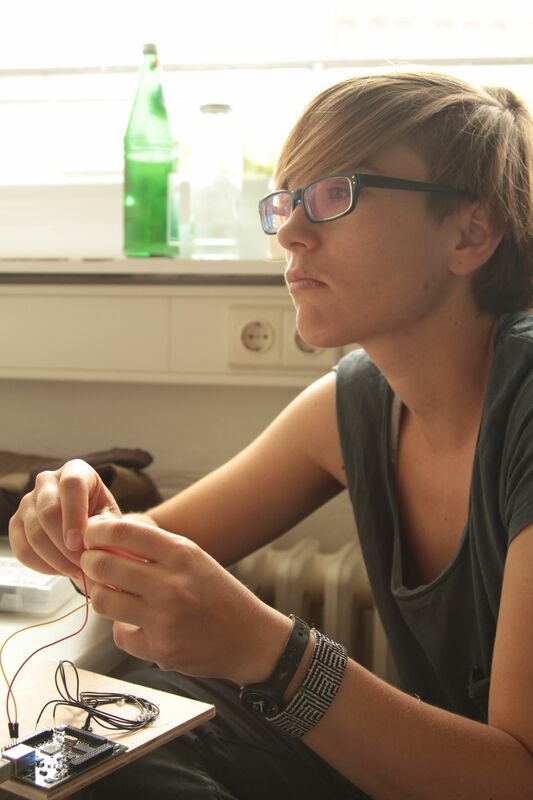 Vreme, the film by Dragana Jovanovic that I had the pleasure to edit, is showing in Cologne. Many thanks to the director, Adam Breier! Como en Casa is an organic shop in downtown Madrid, right in the heart of the Rastro. They’re celebrating their 10th anniversary as a bio-product shop, but they’ve been in the neighborhood since 1904. One of my favorite places in the whole city, where everyone feels at home. Releasing the video for Benjamin Garcia’s song, directed by Lara RCZ, yay! I am happy to announce that Afuera, the documentary feature by Laurentia Genske, which I was lucky enough to edit, is running in DokLeipzig 2015! Really excited to be sharing the gig with such great pieces like El Enemigo, by Aldemar Matias! Revamping the site has been quite a challenge, to try and fit in all of what’s going on. Hope this helps (me!) keep track of all of what’s going on. lararcz.com is a lotta (fun) work! Phew! This must be the equivalent to feeling home in a website. Especially when Brain Drain is all about what people do and need to feel at home. Very honoured to take part in the exhibition, amongst such amazing people and pieces. Brain Drain on the Burg site! The festival was an incredible experience, and I was pretty blown away by some of the pieces. Such a pleasure to take part in Werkleitz 2015! Special thanks to the Transmedialer Raum and the Burg teams. Definitely looking forward to more pieces that inspire so many other artists: Marje Hirvonen created a dance piece thatwas presented at the opening, with the performance of Kärst, also sound designer of the piece. Now, I’m happy to release this video for the installation Wildestadt, by Eva G. Alonso. “It had a narrative that peeled away like layers of an onion – constantly surprising and wrong-footing me as to its direction. The cinematography was gorgeous too – they really managed to capture the light intensity of what I imagine a beach in Cuba looks like“. 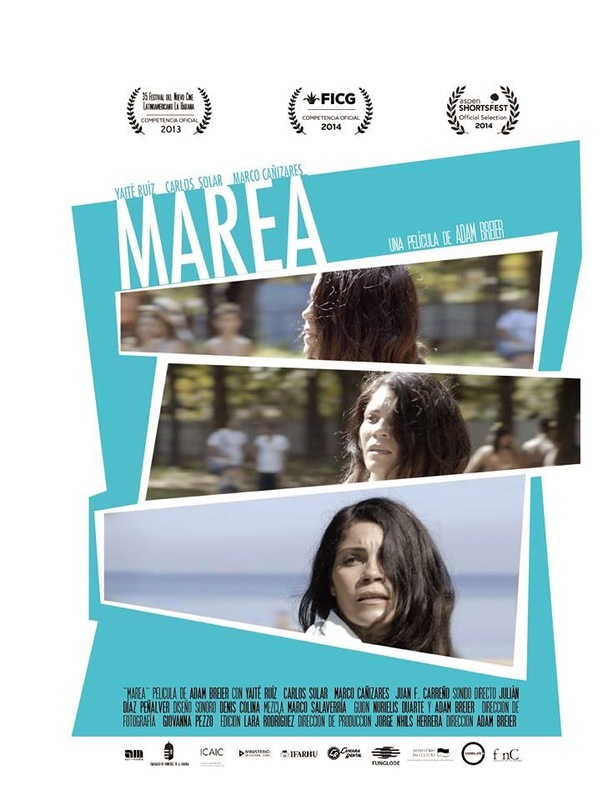 I’m really excited and happy to see that Marea is getting so much attention from festivals all over the world. Outfest LA, here we go! Marea is making my day, again. Look, mom, we’re on Indiewire! Les Oranges Bleues is out! I collaborated with a piece, it’s somewhere in there amongst beautiful pieces of good times, that Julia Scrive-Loyer put together, in one of her usual awesome cocktail-like shake ups of reality.